This gem of a red wine is the featured house wine of Bella Fortuna Restaurant in Lake Leelanau, MI. 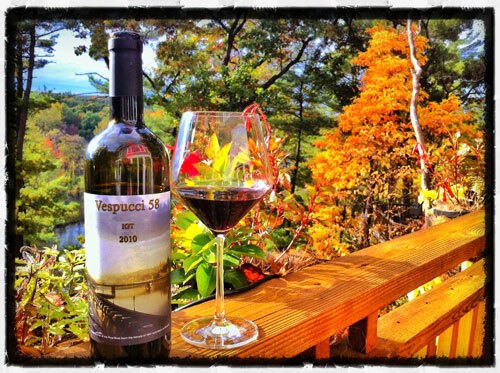 Vespucci 58 is a blend of the Tuscan grape Sangiovese, Syrah, with a touch of Merlot and Cabernet. It’s a brilliant creation of restaurant owners, Bob and Jane, and is from their very own vineyard near Florence. Music is already playing in my head just thinking about it. Vespucci 58 is a full wine that plays notes across my palate that makes me very happy. It’s described as fruit forward with a hint of spice, vanilla and earth, with strong plum, cherry, and blackberry. In my own words…pour a glass, grab a book, turn on Pavarotti and sip by the fireplace. Think of the Arno River in Florence and imagine the view on the label, it’s taken from Bob and Jane’s apartment in Florence and when I sip Vespucci 58 I am transported. Let yourself go and uncork an experience, taste the land and for just a moment… you’re a temporary resident of Italy. Salute! Every year it happens. The warm days and fun in the sun of a Michigan summer melt into fall. In autumn, as if saluting us and maybe even thanking us for enjoying the land all summer long, nature takes a bow and puts on one big grand finale in a majestic show of color. 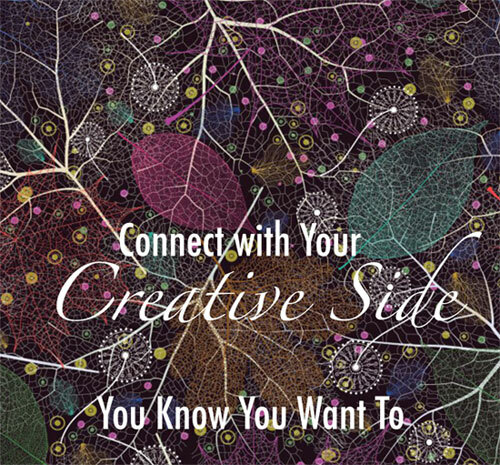 With inspiration everywhere, there is no better time of the year to connect with our creative side. We find it in the soft light of the sun that glows and also with the dimmer switch lowered and the mood set. We find it in the cool mornings that become warm days and crisp nights. And, then the most in-your-face, look-at me-I’m-beautiful way, we find it in our trees as they put on a firework’s display of color. When nature gives us all this to work with, how can we not pay her respect by unlocking our own inner creativity? Fall makes us want to experiment with writing and paints and cameras. You know you want to – now make it happen. But where do you begin? Michigan is thankfully full of parks and open spaces that make finding a beautiful place to interact with nature easy. Pack a notebook, a camera, and some paint and paper with which to work. Include the whole family. Children learn by your example (OK, if you need a little me-time, stealing away by yourself is magical as well). Remember the joy you felt in creating as a child and connect to that. Don’t feel you have to reproduce what you see; your camera already did that. Notice shapes, and patterns, repetition, color and movement. Create from that place. Remember, there are no rules when you set out to let your inner creative come out. Children with bright, big smiles create free of rules, and so should you. Then watch the smile come over your own face. You live in the great and beautiful state of Michigan. Living in Michigan is about living with the seasons. Let fall know just how much you appreciate her by interacting with her through the arts. That is the best of fall.